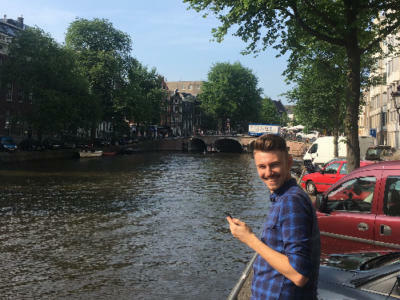 James is a consultant within Amsterdam’s UX/UI sector. He has previously worked at MID Communications where he was an award winning (yes, you read that correctly) consumer account manager before he signed for ECOM! One of James’ greatest accomplishments is watching University challenge and getting 10 questions right (no autographs please) 6’3 with a mid to high end hairstyle (He thinks so anyway). What really motivates James is coming to the office every week day where he gets to work alongside amazing, kind, considerate people.